Most wedding food, although artfully presented and overly bounteous, is not only dead boring, but leaves one feeling as though you’d much rather have popped out for a local curry. These are more like mini pies, and mirror the craze for dessert cupcakes. Served as a light entrée, get your chef to experiment with mashed potato icing, parmesan and tomato basil – there are countless options. Serve on earthy wooden boards or ceramic stands and sprinkle with herbs. Wonderful for breakfast or lunch weddings, an on-site espresso bar serving lattes and mochas in large mugs will create an informality immediately. The noise of the foaming milk alone will help break the ice. Here’s a wonderful idea to move away from the traditional. 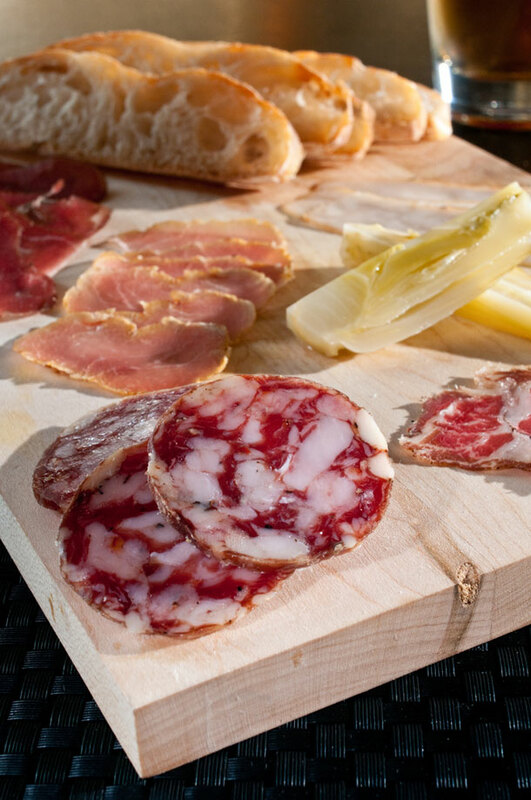 Serve great hunks of bread and locally-sourced, artisan cheeses served on wooden platters, or locally-sourced charcuterie plate (for the non-vegetarian guests). Give your food a story by supplying locally sourced, hand-made signature dishes, with labels indicating which farm supplied which foods, who grows them, how they are grown etc. Include organic, vegan, and gluten-free options. A little like the food halls at supermarkets. Provide your guests with various themed options – a sushi bar, a mexican flavoured station with fajitas, tacos and nachos, a pasta bar, a salad and veggie bar, a cheese and bread station, a mediterranean station (think hummus, souvlaki, pitas and grilled veg), a children’s food station (if you’re inviting them), and an icecream station where guests can create their own cones etc. I ask you, wouldn’t you rather? Cooked fresh on site, there’s no beating this takeaway style dish. Source a chef who isn’t afraid to try something new, combining seriously unexpected flavour combinations so that you steer way away from ‘safe’ and produce something adventurous instead. Your food should keep them talking long after the reception, in other words.